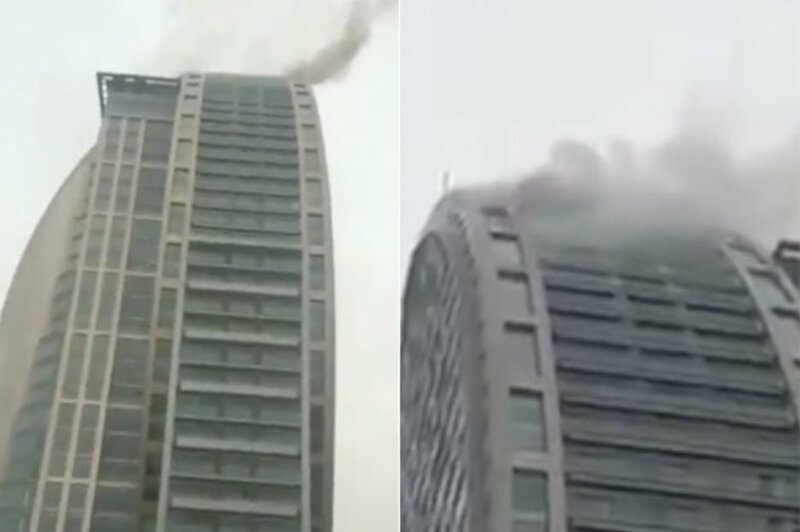 through a Trump hotel tower in Azerbaijan. 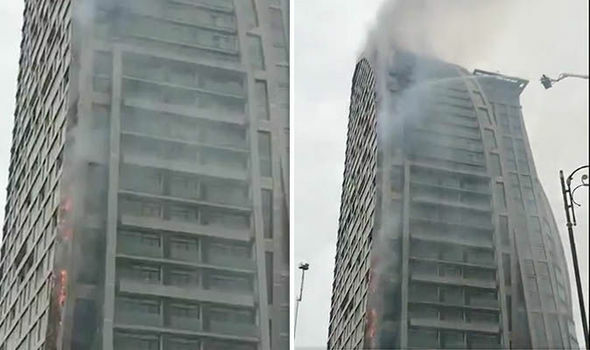 The fire broke out on the center floors of the 33-story Trump International Hotel and Tower in Baku on Saturday evening. 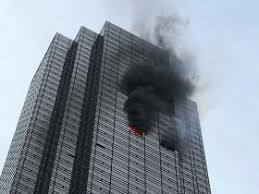 Six fire engines were on site battling the blaze but there were no reports of injuries.The fire in the unfinished building started just weeks after a man died in an apartment fire in New York's Trump Tower.